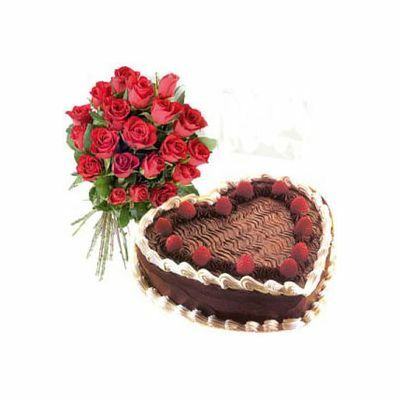 Cheerful Combo is consists of 1 kg chocolate heartshaped cake decorated with cherries and 20 red roses bunch. Fillers and greenery ha been added to the bouquet to make it more attractive. 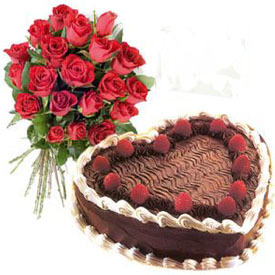 Red roses represent your soft feelings quite gracefully.